Kevin Hart announced he is expanding his widely successful and massively hysterical ‘The Kevin Hart Irresponsible Tour,’ adding over 100 new dates across the U.S., Canada, Europe, Australia and Asia. Produced by Live Nation, the new dates will kick off March 23 in Baltimore, MD and hit all new cities including New York, Atlanta, Chicago, Toronto, Paris, London, Sydney, Auckland, Singapore, and more. See below for full routing and on sale details. 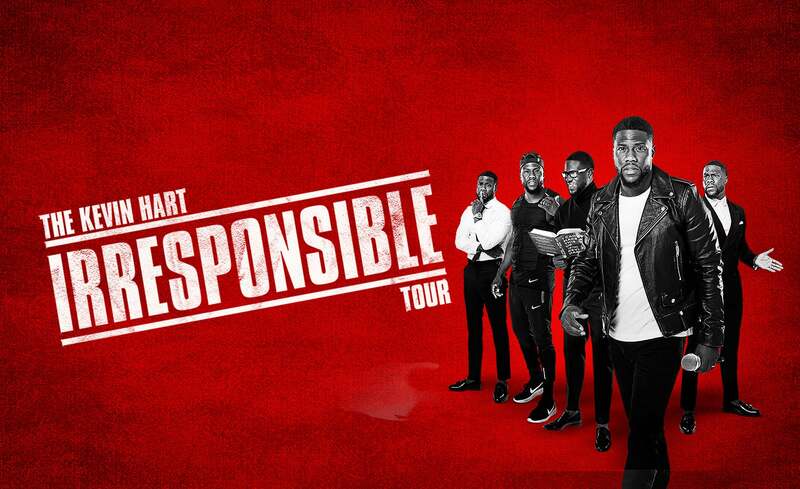 Pittsburgh will welcome ‘The Kevin Hart Irresponsible Tour’ at PPG Paints Arena on Friday, November 23, 2018. Hart’s last multi-city domestic and international WHAT NOW comedy tour sold out large venues all over the world, including being the first comedian to sell out an NFL stadium, selling over 50,000 tickets in one show at Lincoln Financial Field. Internationally, he sold out over a dozen arenas in the European market, selling over 150,000 tickets, and sold out arenas across Australia, selling 100,000 tickets. Hart’s hit comedy tour grossed over $100 million worldwide. on the Audible platform, selling over 100,000 copies in the first five weeks. Earlier in the year Hart voiced a title character in Captain Underpants: The First Epic Movie. To close 2017, Kevin appeared in the Sony reboot of the classic film Jumanji alongside Dwayne Johnson and Jack Black. Jumanji has been Kevin’s highest grossing box office release to date, the movie has made over $800 million worldwide. Hart’s newest business venture is his digital platform the LOL NETWORK - Laugh Out Loud, the comedy brand and multi-platform network founded by Hart in partnership global content leader Lionsgate. Hart’s next feature film is Night School for Universal, a film in which he co-wrote, produces and stars in - all under the Hartbeat production banner. The comedy follows a group of misfits who are forced to attend adult classes in the longshot chance they’ll pass the GED exam.